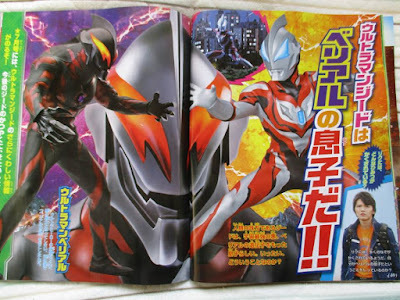 Here are the first batch of Ultraman Geed magazine scans featuring important information about the newest Ultra hero who will make his high impact debut this year with translations from Filip "Man from Japan" Judar. 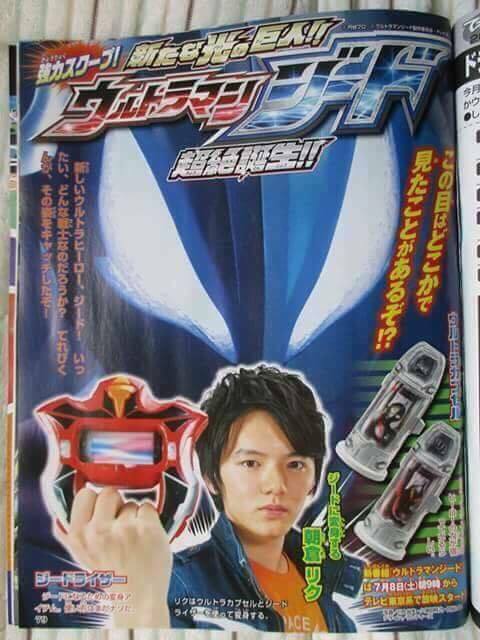 Ultraman Xead's host will be Asakura Riku, a young man who seems to be hiding some secret. What could this secret be that links him to Xead and Belial? Riku will transform into Ultraman Geed using the Geed Riser, a device that functions by inserting and fusing Ultra Capsules, which houses the powers of past and present Ultramen making it similar to how the Orb Ring works. Our main hero Riku will be portrayed by Tatsuomi Hamada, who played the role of young Captain Marvelous in Kaizoku Sentai Gokaiger VS Uchuu Keiji Gavan, and Nao, Ran 's (Ultraman Zero) younger brother in Ultraman Zero The Movie: Revenge of Belial. 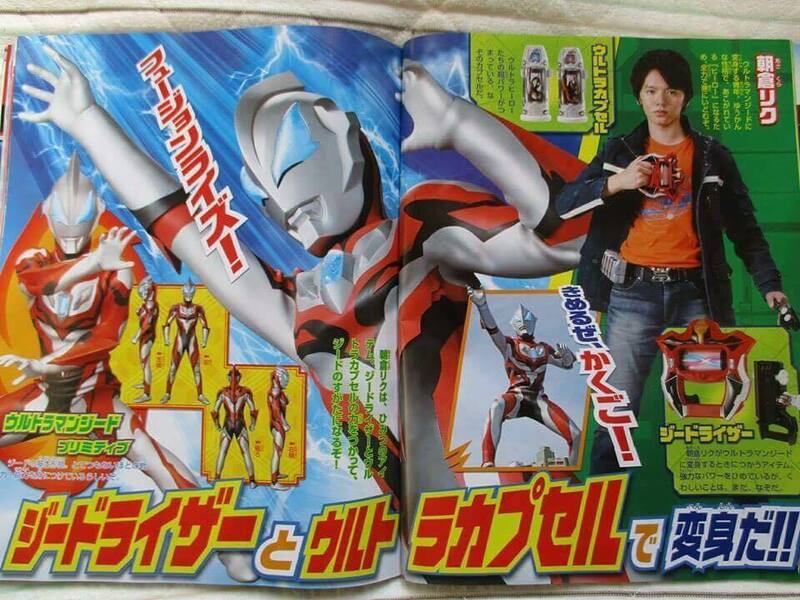 From the younger version of a Red Ranger to Ultraman. Seems like Mr. Hamada is a lucky guy. He was 17 of age,that so youngest actor. 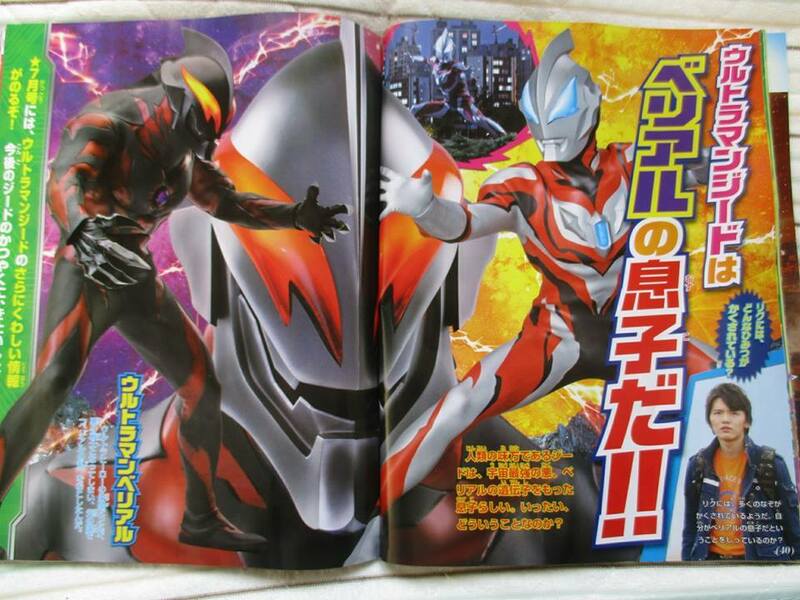 "Our main hero Riku will be portrayed by Tatsuomi Hamada, who played the role of young Captain Marvelous in Kaizoku Sentai Gokaiger VS Uchuu Keiji Gavan, and Nao, Ran 's (Ultraman Zero) younger brother in Ultraman Zero The Movie: Revenge of Belial"
WHAT THAT CAPT MARVELOUS. IN ULTRAMAN? WTF Geed is his name? Wait Ultraman Xead or Ultraman Geed?